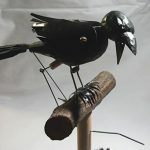 A crow which pecks your finger as you turn the handle. 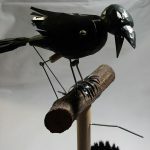 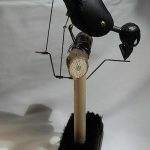 This new piece by Simon Venus is a homage to an automaton by Paul Spooner – ‘A Carrion Crow with its eye on someone’s finger’ – 2011. 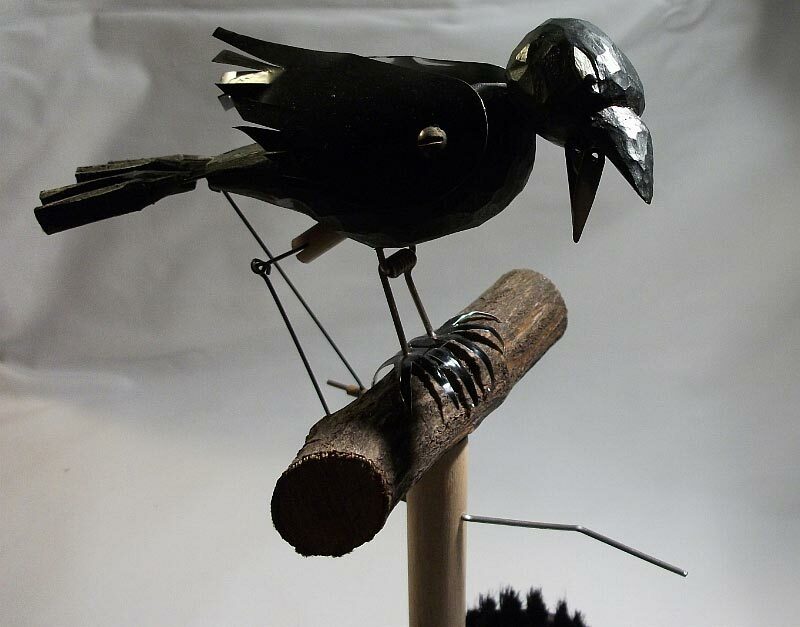 Mounted on a shoe brush from Deptford Market. 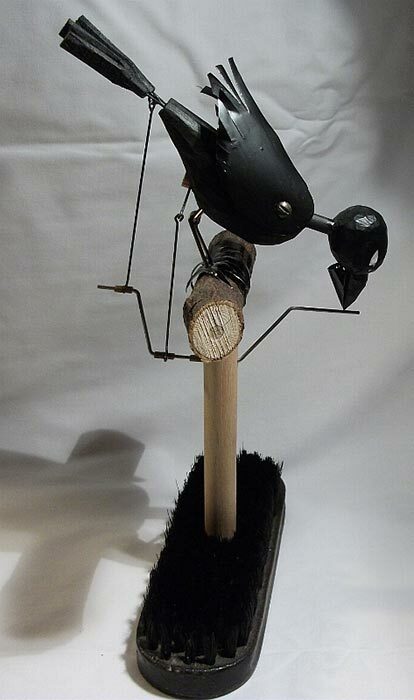 Wood, metal, paint.